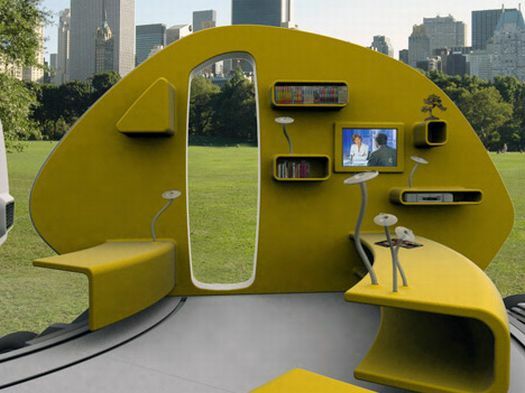 features a kitchen, bathroom, bedroom, living room and an office. 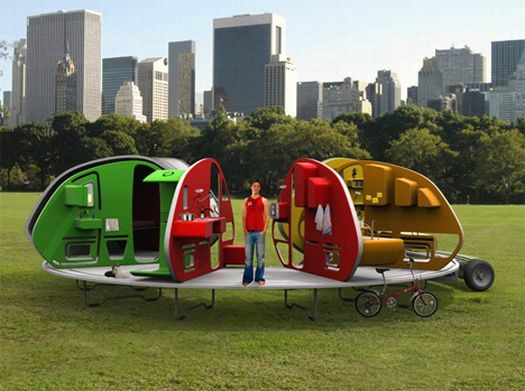 So how can this home-on-wheels manage to have so many rooms while still being designed to be attached to a vehicle? Good question. Once parked the concept mini home can be spread out--to, you guessed it, 252 degrees--allowing for the extra space needed. A special screen protects the unfolded home from the elements. Still not sure about nomadic life? Try a vacation first! 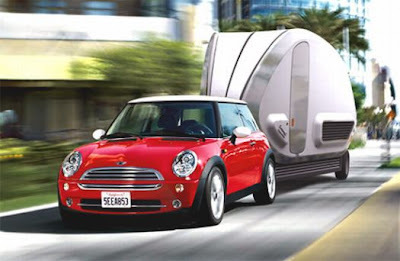 Check out the campervan rentals available at MotorhomeRoadtrip.com.